XiXi was just an average High School girl who thought her future would consist of someday taking over the family’s cosmetic business. She didn’t know of her family’s ancestry as Sorcerers until she was thrown into another world with her father. There she began on an adventure that would last an endless lifetime, sharing her heart and powers with a shameless Immortal. 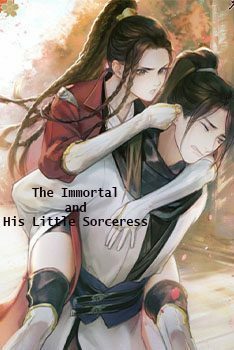 It all began on a magical island when an Immortal saw her and fell in love at first sight with his little Sorceress. I would actually give this 5 stars, if not for the fact of having to agree with the review by wolfeng that this story is a little (quote) "rough around the edges, the author needs to work on formatting, in particular when it comes to the start/end of dialogues" (end quote) I'm truly enjoying it. Very interesting characters, and a vivid description of the scenery makes it possible to immerse yourself into the story (I could literally picture some of the beautiful places in my mind). And as "the plot thickens", the suspense factor rises. "Complications" is definitely a fitting title for this latest chapter, but not to the point (yet) where things get too complicated to keep track of who is who and what is going on where. I'm very much looking forward to see how this story continues to unfold. I love the fact that it's not told in a first person point of view allowing the author to play around with showing the thoughts of different characters. It could provide interesting developments, so let's see how it goes.